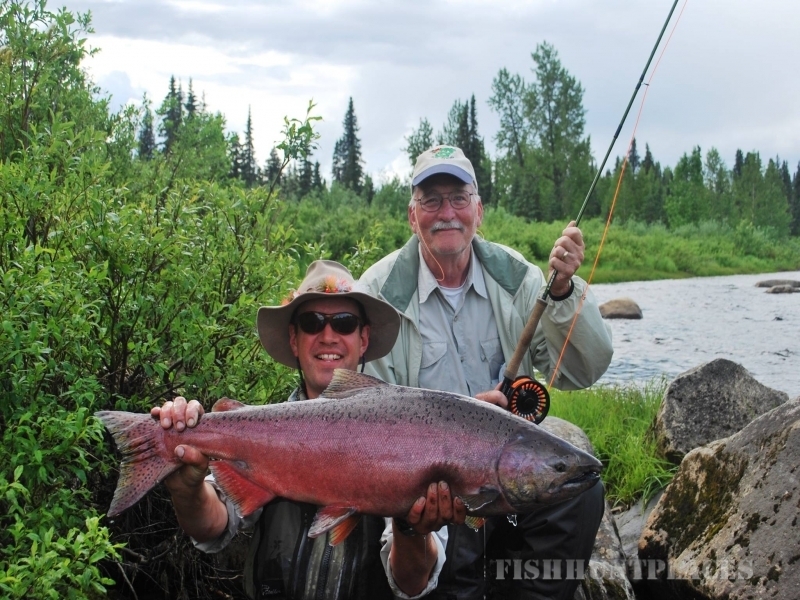 We offer fully-guided Alaska fishing float trips on Lake Creek Alaska. 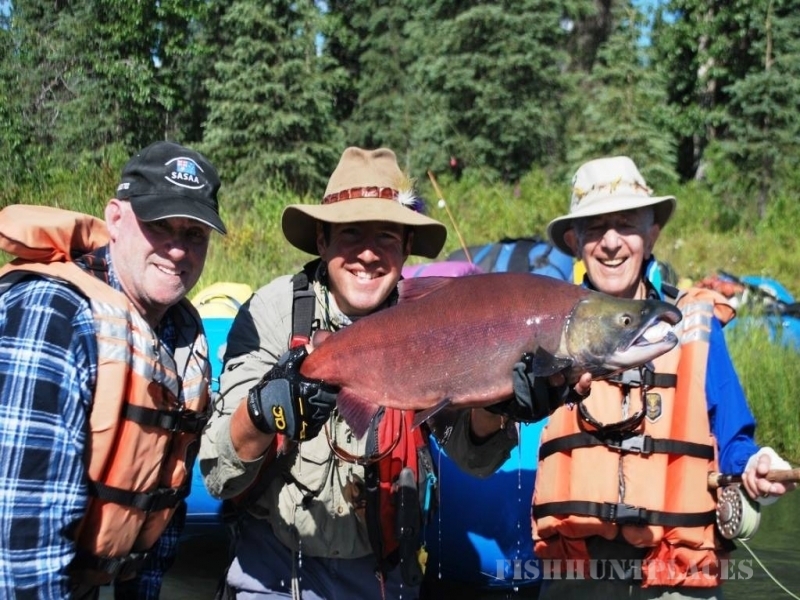 Each float fishing trip is 6 days and covers the 60 scenic river miles of Lake Creek. For select trips the final night of the trip is spent at Wilderness Place Lodge with private riverside cabin, gourmet meals and first-class accommodations. The remainder of the float trips throughout the summer are 6 full days with the remaining afternoon spent at Wilderness Place Lodge to enjoy a hot shower, re-pack, relax and get "re-civilized" prior to flying back to Anchorage that evening at 6pm. 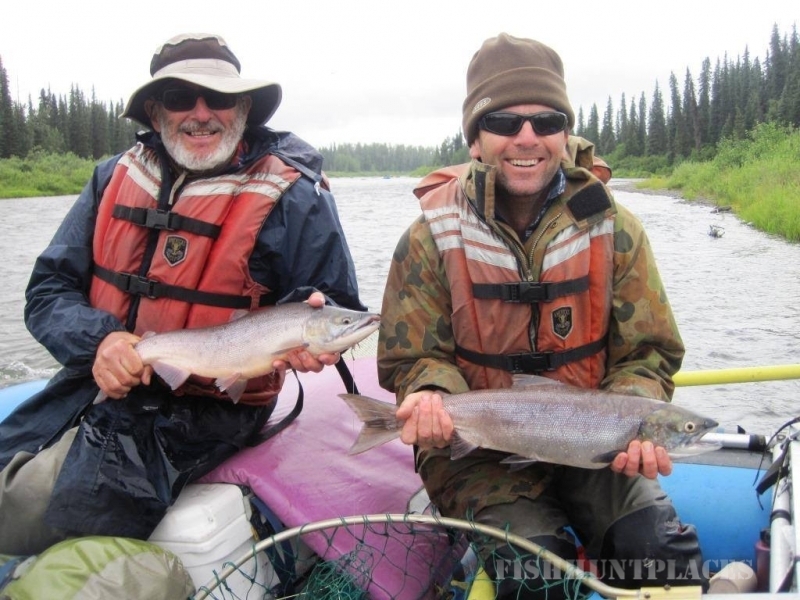 Each of our Alaska raft trips feature world-class rainbow trout and grayling fishing. Depending on the time of your preferred travel dates, Lake Creek offers great king salmon, sockeye salmon, pink salmon, chum salmon and/or silver salmon fishing. Our fishing float trip adventure calendar is outlined in the right column. 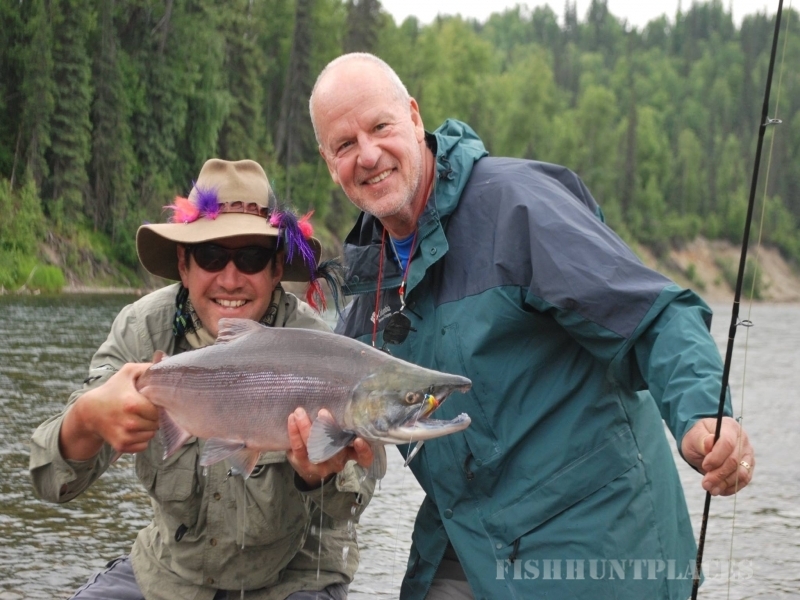 Choose the trip that best fits your schedule and meets your goals for the ultimate fishing float trip Alaska has to offer.